It is now very clear that our minds have tremendous influence on our health and wellbeing. The evidence of this influence is rapidly increasing and is even more significant than we have previously realised. 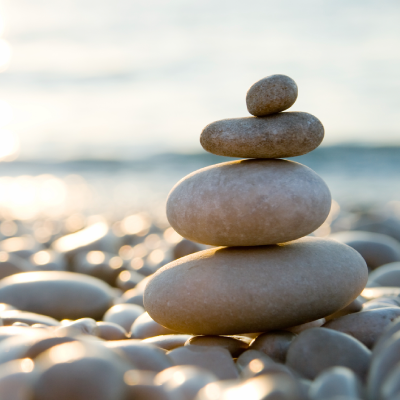 A mind-body approach is now fundamental to holistic care. For many of your patients, their mental component is the largest cause of their health burden. For them to progress, they will have to resolve the psychological distress that has created their problems. Recognising the deep-seated issues and then resolving them requires skills and techniques that you will learn in this program. The mind-body influence is particularly evident in obesity; fatigue; immune disorders especially immune deficiency, allergy and autoimmunity; tumours and cancer; fertility; depression and anxiety; chronic pain; and all gut disorders. It is reasonable to say every patient carries a mind-body component in their presentation. 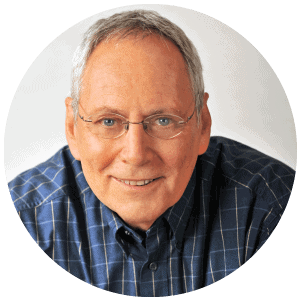 Dr Paul Epstein is the foremost clinician in mind-body medicine. He is a naturopath with considerable training and experience in the many mind-body techniques he is bringing to this Masterclass. Paul has created a program that brings these skills together to create a systematic approach to mind-body medicine. Mind-body medicine makes everything you do for your patients more effective. It integrates with every modality you currently use. When you address their emotional component, patients feel much better about the care you are giving them. Clinicians practicing Mind-Body techniques invariably find that their patients are much more motivated to get well and are highly compliant. Better patient experiences and results create a thriving practice. This Masterclass is a comprehensive practical course delivering clinical solutions to the large number of people who will greatly benefit from a mind-body approach. See his full bio below. How to ‘cultivate’ or ‘tap into’ this Presence? Dr. Paul Epstein ND is a naturopathic physician, mind body therapist, mindfulness meditation teacher, speaker, workshop leader and author. He graduated from the National College of Naturopathic Medicine in 1984, where he did a residency in holistic medicine, stress and lifestyle counseling and directed the clinical lifestyle change program “Healthstyles”. Mindfulness is good for our bodies. A seminal study found that, after just eight weeks of training, practicing mindfulness meditation boosts our immune system’s ability to fight off illness. Mindfulness is good for our minds. Several studies have found that mindfulness increases positive emotions while reducing negative emotions and stress. Indeed, at least one study suggests it may be as good as antidepressants in fighting depression and preventing relapse. Mindfulness changes our brains. Research has found that it increases density of gray matter in brain regions linked to learning, memory, emotion regulation, and empathy. Mindfulness fosters compassion and altruism. Research suggests mindfulness training makes us more likely to help someone in need and increases activity in neural networks involved in understanding the suffering of others and regulating emotions. Evidence suggests it might boost self-compassion as well. Mindfulness enhances relationships. Research suggests mindfulness training makes couples more satisfied with their relationship, makes each partner feel more optimistic and relaxed, and makes them feel more accepting of and closer to one another. Mindfulness is good for parents and parents-to-be. Studies suggest it may reduce pregnancy-related anxiety, stress, and depression in expectant parents. Parents who practice mindfulness report being happier with their parenting skills and their relationship with their kids, and their kids were found to have better social skills. Mindfulness helps schools. There’s scientific evidence that teaching mindfulness in the classroom reduces behaviour problems and aggression among students, and improves their happiness levels and ability to pay attention. Teachers trained in mindfulness also show lower blood pressure, less negative emotion and symptoms of depression, and greater compassion and empathy. Mindfulness helps prisons. Evidence suggests mindfulness reduces anger, hostility, and mood disturbances among prisoners by increasing their awareness of their thoughts and emotions, helping with their rehabilitation and reintegration. Mindfulness helps veterans. Studies suggest it can reduce the symptoms of Post Traumatic Stress Disorder (PTSD) in the aftermath of war. Mindfulness fights obesity. Practicing “mindful eating” encourages healthier eating habits, helps people lose weight, and helps them savour the food they do eat.